Mary Yuille, (nee Triano), 76, passed away on Monday, October 1, 2018 at Kindred Hospital, Dover, NJ. The funeral will be from the Thiele-Reid Family Funeral Home, 585 Belgrove Drive, Kearny, NJ on Tuesday, Oct. 9, 2018 at 10:00 a.m. A Funeral Mass will be offered in Our Lady of Sorrows Church, Kearny at 11:00 a.m. Interment will follow at Holy Cross Cemetery, North Arlington, NJ. 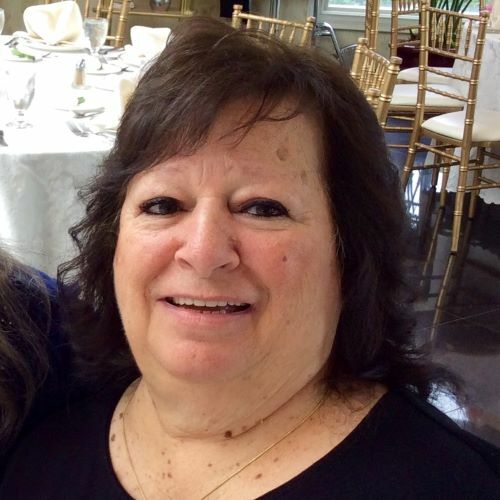 Relatives and friends are invited to visit at the funeral home on Monday from 4 to 8 p.m.
She was born in Orange, NJ and lived in Kearny for many years before moving to Rockaway Township 19 years ago. Mrs. Yuille is survived by her children, Michael Yuille (Cathi) , Donna Yuille and Denise Cieslik (Alan) and one sister, Carmella Tyburski. She was the beloved grandmother of Justin, Dylan and Emma Rose Cieslik and Oscar Dominguez (Allison) and John and Deanna Yuille and great-grandmother of Kyle, Jake, Ryan and Sarah Dominguez along with a fifth great- grandchild due in January. She also leaves behind her sister-in-law Irene Yuille and several nieces and nephews. She was predeceased by her husband, John C. Yuille and her parents, Michael Triano and Rose Polito. Mary loved her family so much especially her grandchildren and great-grandchildren. Slot Machines and playing Bingo gave her much joy as did game night with her children and grandchildren. She will be deeply missed by all who knew her.